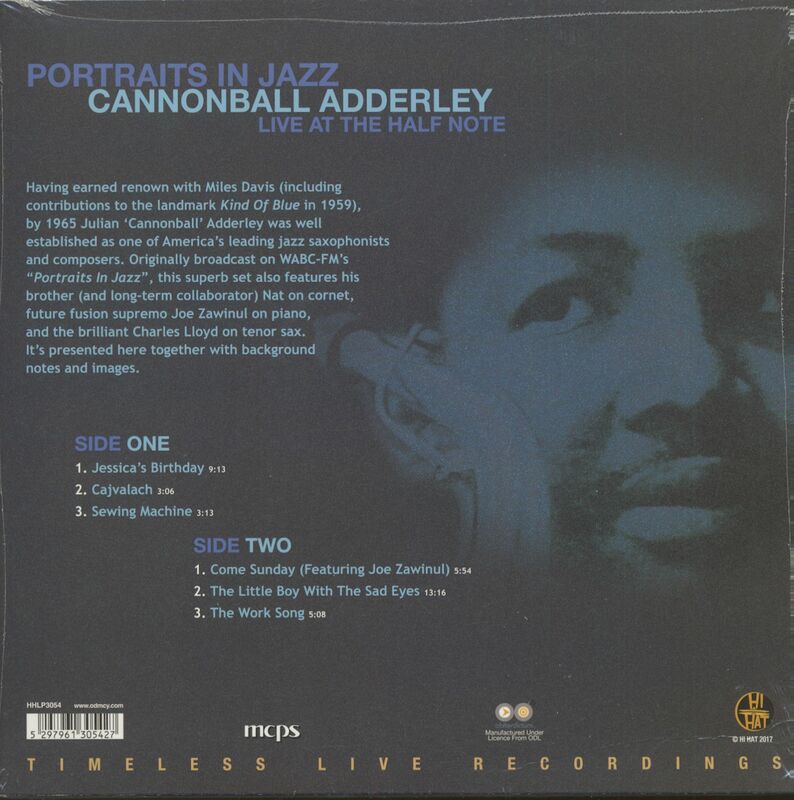 Having earned renown with Miles Davis (including contributions to the landmark Kind Of Blue in 1959), by 1965 Julian `Cannonball' Adderley was well established as one of America's leading jazz saxophonists and composers. 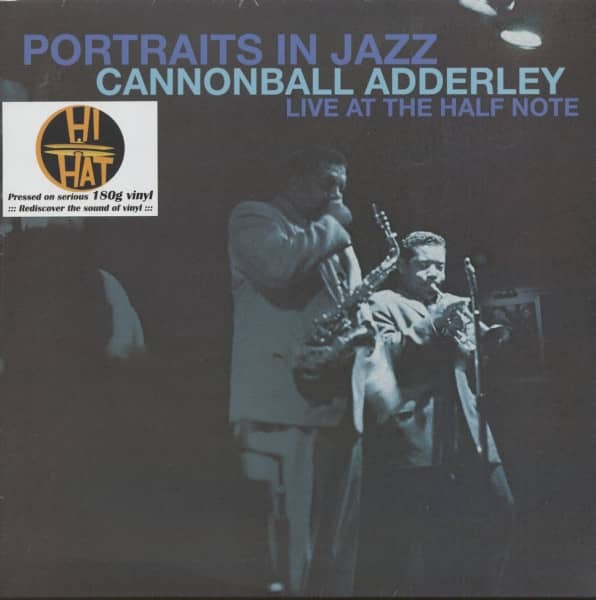 Originally broadcast on WABC-FM's 'Portraits In Jazz', this superb set also features his brother (and long-term collaborator) Nat on cornet, future fusion supremo Joe Zawinul on piano, and the brilliant Charles Lloyd on tenor sax. It's presented here together with background notes and images. Customer evaluation for "Portraits In Jazz - Live At The Half Note (LP, 180g Vinyl)"